Another day, another cutoff. Today’s the last day for House fiscal committees to pass out Senate bills, and for the Senate Ways & Means and Transportation Committees to pass out House bills. Coming soon: A lot of floor activity. Remember, we also send out a Daily Wire email that aggregates what we’ve posted every 24 hours. If you don’t subscribe already, you can do that here. Yesterday, the proposed substitute tax structure bill that includes a capital gains tax had a public hearing in the Senate Ways & Means Committee. I summarized the testimonies here. Those in favor of the bill, which Senate Democrats have referred to as the “Fix Our Tax Code” plan, commonly supported its direction of new revenue to tax reductions like the Working Families Tax Credit. Testimonies against the bill mostly came from the perspective of businesses that aren’t happy with the capital gains tax portion. The full hearing is available to watch online via TVW. The House and Senate have both passed their respective transportation budgets and the various operating budget bills have passed through both chambers. The capital budget is another story. This week, Senate Republicans withheld support for the bonds that would fund the capital budget, citing an upside-down process. You’ll recall the capital budget requires 60% approval to pass, giving Republicans important leverage. Budget season is far from over, and nothing is set in stone. I’ve been writing about interesting things I notice in the budget process as it happens. For instance, the House capital budget proposal allocates $32.75 million more to the UW behavioral health hospital than the Senate’s. Another interesting thing: Above is a slide from a presentation Rep. Drew Stokesbary gave to House Republicans. The parties have contradicted each other this session over whether or not there’s an operating budget surplus. I tried to get to the bottom of that confusion last week, and Stokesbary, lead budget writer for House Republicans, showed me where he got the “$2.8 billion” surplus he’s mentioned. “But, just because you can do something doesn’t mean you should. And in the case of Sen. Ericksen, being awarded a $500,000 contract to represent Cambodia in the US is not something you should do while you’re serving in the Legislature. It may be legal, but it isn’t a good look. 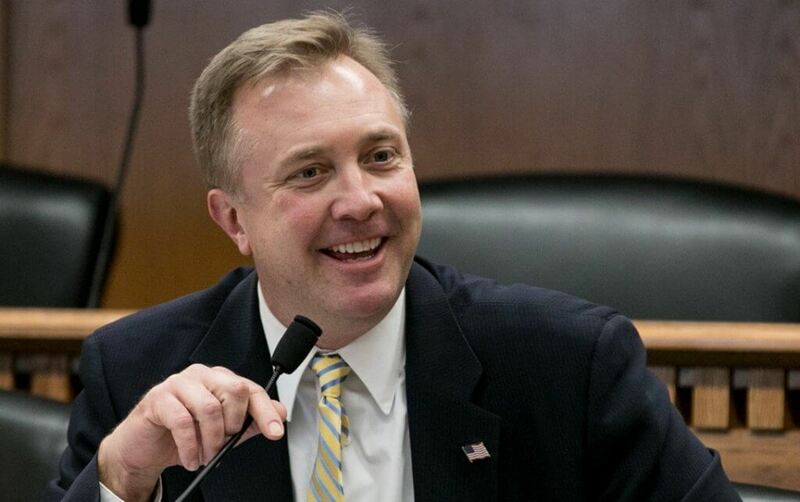 The smart move for Sen. Ericksen is to pick one: Resign from the Legislature to build a successful lobbying career, at which he’d probably excel, or simply don’t take foreign money meant to influence US politics while serving in public office.